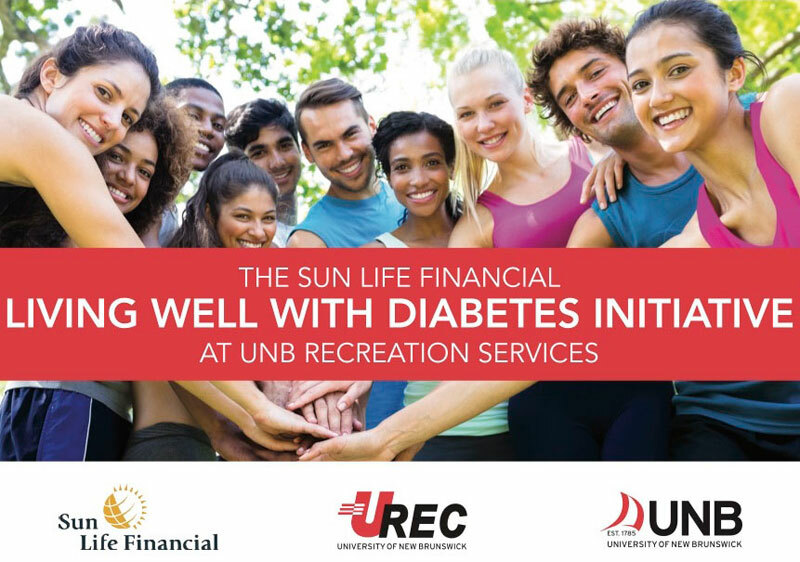 Recreation Services at the University of New Brunswick is now accepting participants for the Sun Life Financial Living Well with Diabetes Initiative. This initiative will provide subsidized gym memberships and personal training services, as well as nutritional guidelines, for individuals who are pre-diabetic or currently living with Type 1 or Type 2 Diabetes. “An estimated 219,000 New Brunswickers are currently living with diabetes or are considered pre-diabetic. URec will be offering resources to help individuals, specifically those in the Fredericton area, adopt effective preventative and care strategies for the management of their condition,” said Caitlin Doyle, URec’s Strength Centre and training coordinator. Participants will save over 50 per cent on memberships and/or personal training costs at URec, located in the Richard J. CURRIE CENTER. “Financial barriers tend to be the greatest reason for inactivity so we are extremely excited to be able to offer a considerable discount on personal training and membership services,” said Ms. Doyle. A referral from a health care professional is required to participate in the initiative.